Ecovillages are a growing phenomenon in Russia - working professionals are leaving the city to move to the countryside to live in harmony with nature as a reaction to the depersonalization of urban life and the industrialization of agriculture. There are several such eco-villages in the region of Kaluga and the project aims to support these communities in becoming self-sufficient by planting fruit and nut trees on communal and private land. The first wave of planting will take place in autumn in the ecovillage of Milenki. The village, only recently connected to the electrical grid, is located 200km from Moscow and is home to 90 families. The area was converted to agricultural land at the beginning of the century leading to the loss of species-rich native forests. The only trees remaining are pine and birch, inherently low in biodiversity and ecosystem services. The objective of the project is to create diverse edible forests with a minimum of 15 different species planted per site. The trees will provide a secure food source to the villagers whilst creating habitats for birds and small mammals thereby effectively restoring lost biodiversity. The seedlings will be reared in a local nursery by the villagers themselves, providing an additional revenue stream to the village. The tree species will be selected for their historic presence in the area and their suitability to the local environment. 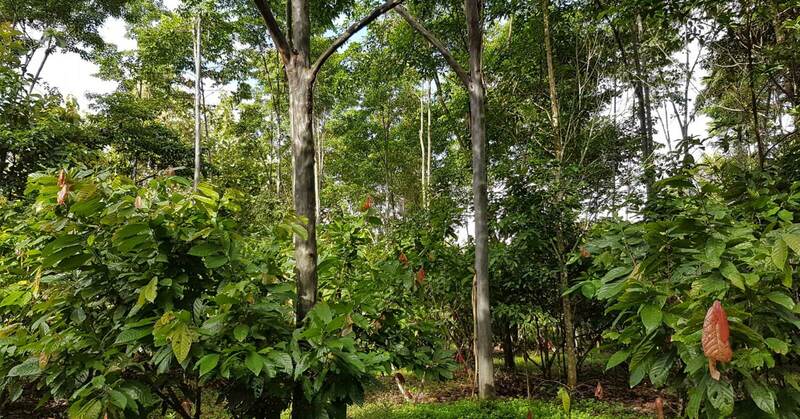 The trees planted as part of this project are essential for the eco-villagers to sustainability live off their land, in harmony with the environment and the people around them. © 2018 PUR Projet. All rights reserved. Photo credits: PUR Projet / Christian Lamontagne.